On September 10, 2018 at 7:20 PM, the Los Angeles Rams are scheduled to kick off their first NFL season game. Their challengers? The Oakland Raiders. While Northern and Southern California fans will undoubtedly be rooting for their favorite local teams that evening, one healthcare professional will be standing on the sidelines, making sure his players are healthy enough to stay in the game. That professional is Beau Daniels, DC. 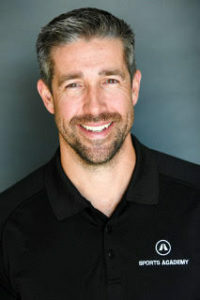 Director of Integrated Sports Medicine at Sports Academy in Thousand Oaks, CA, Daniels is the official chiropractor for the Los Angeles Rams, a position he calls “just a piece of the puzzle” as it takes a host of trained staff to keep all of the players on the field, both in trainings and in games. Yet, after working in sports medicine for over a decade now, Daniels says that one thing he sees many DCs do that may not be enabling them to serve their football patients as effectively as possibly is placing so much focus on their alignment. What’s the problem with this approach? “I don’t like to use the word ‘aligned,’” says Daniels, “as this is rarely the case.” In fact, many athletes are not in perfect alignment or balance as symmetry is this rare, he says, largely because of the unique demands of their sport. Knowing that there is a collaborative and comprehensive approach for each athlete, within the Rams organization, Daniels typically focuses on a combination of the three categories: movement efficiency, manual therapy, and joint mobilization. In his private clinic, one of the evaluation tools he employs is the SFMA to help identify discrepancies in the athlete’s movement patterns. SFMA stands for selective functional movement assessment and research has found that this particular assessment can potentially lead to improved function and reduced pain. For instance, one case report published in the International Journal of Sports Physical Therapy involved a male athlete with low back pain. After being evaluated with SFMA, a treatment plan was created and, upon discharge, the patient had increased joint mobility and experienced much lower levels of pain, dropping from a seven to a two on a 10-point scale. This is important because the physical demands of football show specific patterns of inefficiency through the hip complex. With that being said, Daniels spends time on the hips primarily before moving on to some of the other areas. 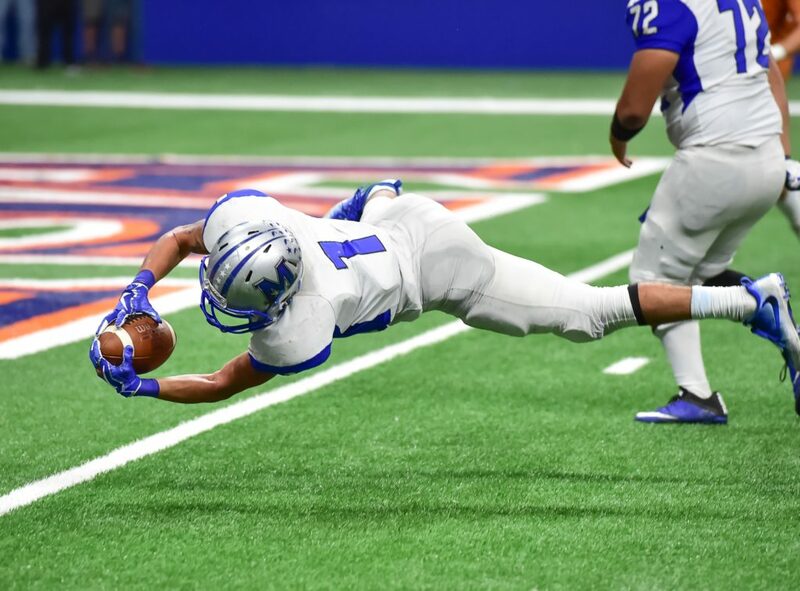 The second way DCs can help their football athletes become better conditioned is by creating an athlete that is both flexible and strong; “Strengthen the muscles that are weak, lengthen the muscles that are tight,” says Daniels. The type of manual therapy depends on the type of injury and number of injuries. There are usually multiple injuries with football players, Daniels says, and therefore prioritizing what you do is a necessary fact that has to be accurate. Treatment should also depend on athlete position, he says, as you would treat a linebacker different than a quarterback, for instance. So, when thinking about how you spend your time with the athlete, “be very injury-specific, be very goal-specific, be very position-specific,” says Daniels. Daniels shares that, in football, he spends a lot of time working on overuse injuries to the feet and ankle joints. Chronic conditions like tendinitis and/or tendinosis tend to be common in these areas because football players are athletes that can create an enormous amount of force and they put a lot of mileage on during training. Helping these athletes to deal with these demands of the game is one of the best fits for DCs in the NFL. Daniels also shares that mobilizing the hips and pelvis can help prevent many soft tissue injuries that tend to plague football players such as hip flexor, groin, and hamstring pulls. Though research has found that knee injuries are extremely common in football, Daniels says he only works on a player’s knee if it’s an old chronic injury, or a repetitive trauma injury, because most major knee injuries require orthopedic care or physical therapy instead. Daniels stresses that it’s also important to not forget about the rehab process as it is very important to strengthen weak muscles, something one of his patients learned firsthand. The athlete’s exam pointed to a stress fracture in the lower back, so Daniels sent him for an MRI, which confirmed that there was a pars defect in the L5 vertebrae that was pretty significant. The player was forced to back out of the season and was medically red-shirted. Daniels goal was to rehab the player the right way, making him stronger, more stable, and more functional. “I worked with him during the season, through the summer, and all the way through the time when offseason began the following year,” says Daniels. DoCS is committed to raising the bar in chiropractic for athletes, so if you have any questions or article ideas, please feel free to contact us or share them in the comment section below. Reprints of this article permitted as long as it links back to the DoCS website: www.DoC-Sports.com.